This International Women’s Day Emerging360 is celebrating women-owned SMEs. 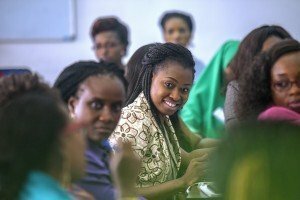 We’re proud to be partnering with the Cherie Blair Foundation for Women, ExxonMobil Foundation, the Enterprise Development Centre of Pan-Atlantic University, and Diamond Bank on the Road to Women’s Business Growth initiative. In fact, Cherie Blair is in Nigeria to host a special event for our project, along with 250 of the 500 women entrepreneurs who are graduating from the first phase.